My lesson: focus is key! Normally, something like this would have put me over the edge and had me near a panic attack. Instead, I took a deep breath, decided I was not going to panic and went into action mode. I unplugged the laptop, grabbed the backup one and got to problem solving. We are 30 days out from Christmas. I need to be productive with clients, I need to be productive with my side businesses, and I need to be productive with Christmas preparations. I knew there had to be Cyber Monday deals and that my chances of needing a new computer were significant so I just went for it. Five hours later, I had a new laptop on the way thanks to lots of help and guidance from one of my best friends' husband. I just barely picked up the pieces of my Monday and stayed up far too late. Yesterday was absolute crap but that doesn’t mean the entire week needs to be too. If you can just focus on one problem at a time, anything is fixable. All it takes is a little patience and perseverance. 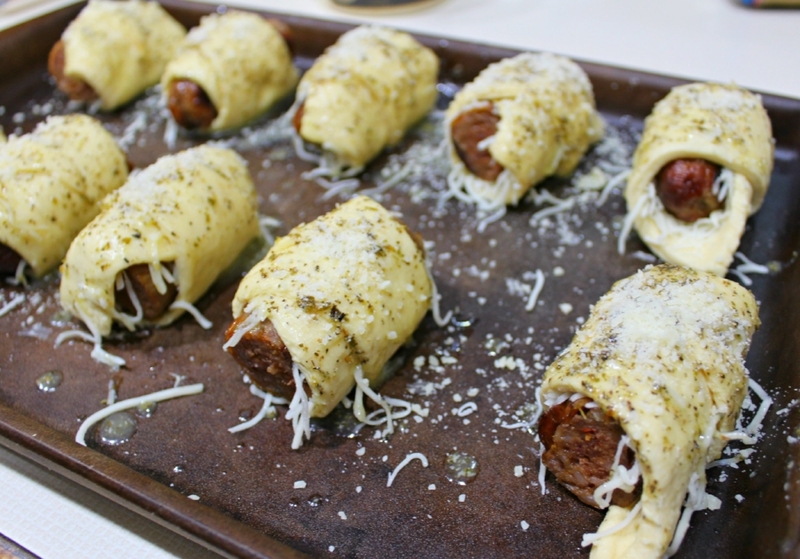 Which brings me to today’s recipe: Italian-Style Pigs in a Blanket. Now that the countdown is on for Christmas, it's time to get serious if you're hosting. Let me start by saying these were an absolute hit in my house. They’re so tasty and delicious. They almost taste like pizza. They are a heavier appetizer - perfect to serve if you’re not having any specific main dish during your party. I love these for Christmas Eve or a friends party. They’re also super easy to make. My appreciation for store-bought dough comes in handy here. You can buy any crescent or croissant dough that you prefer. We’ll be making homemade Italian sausage for Christmas Eve this year but store-bought also works equally well. 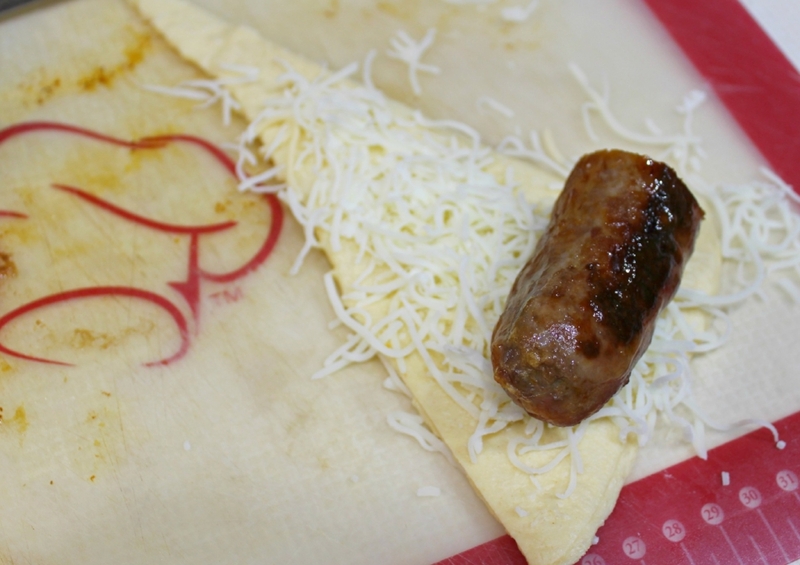 Make a little bed of cheese on the dough before adding the sausage to wrap. Roll it up and finish with a garlicky butter mixture and some Parmesan cheese. These babies are irresistible. I hope your week was off to a better start than mine. Let me know if you got any great Cyber Monday deals in the comments below! 1 - Preheat the oven to 375 degrees. Bake the sausage for 25-30 minutes until cooked through. Let cool and cut in half. 2 - Once the sausages have cooled, roll out the croissant dough. Sprinkle each triangle with shredded Italian Blend cheese. Place a sausage on top of the cheese and roll up. Repeat. 3 - Mix together the butter, Parmesan cheese, garlic, and oregano. Place the dough-wrapped sausage on a baking sheet. Brush the butter mixture generously over the tops of each wrapped sausage. Bake 15-20 minutes until golden brown. Serve with marinara sauce on the side.